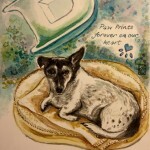 How does one pay tribute to a special dog? For eight years I have known him. He was already 10 when I met him. 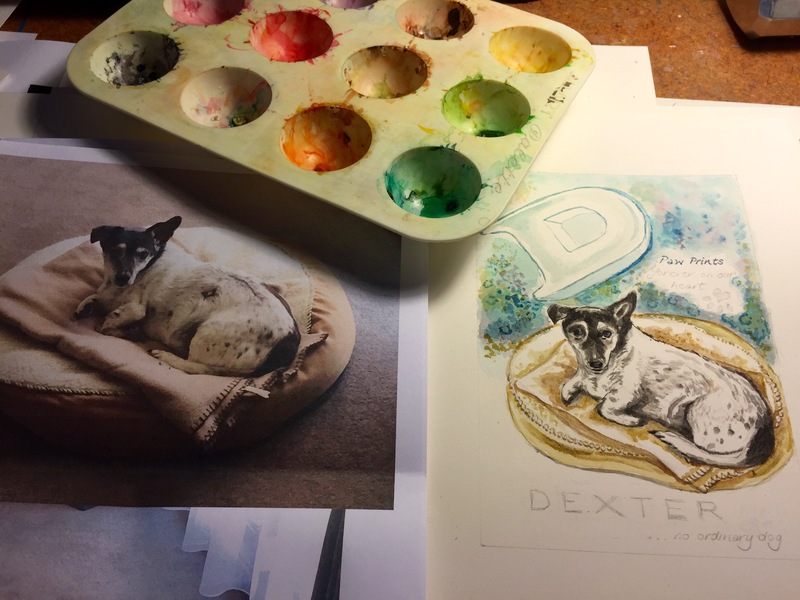 Dexter has been the guardian of good energy and unconditional love enjoyed at our Wednesday group of wonderful friends for several years. 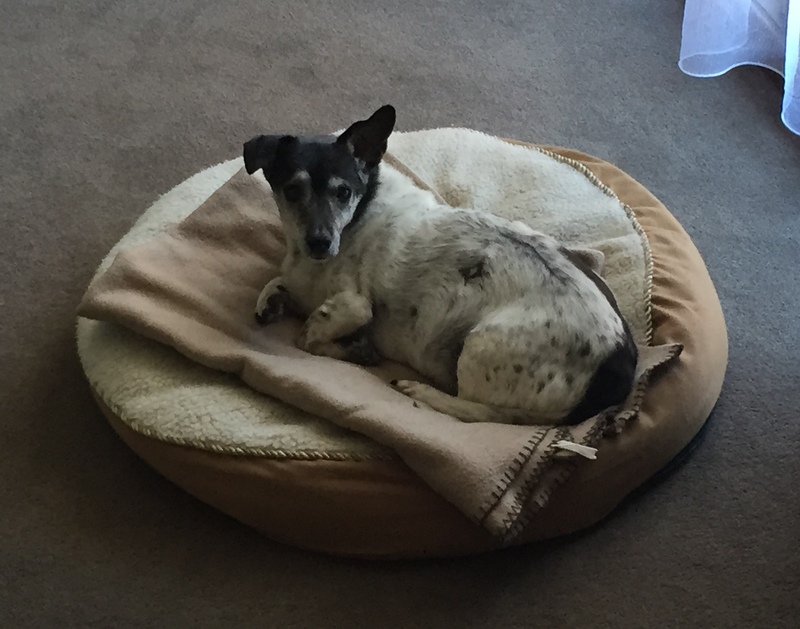 Year in, year out, he has been a cherished and loyal participant with his special brand of enthusiasm and a tail-wagging welcome and goodbye. 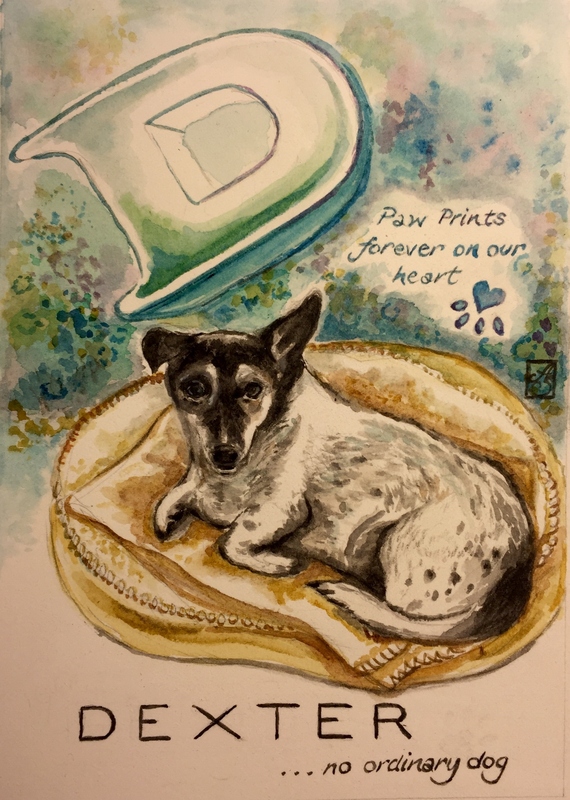 In his honour (and to help soothe an overwhelming feeling of loss), I decided to draw something for his owners and special friends, Eileen and Martin. 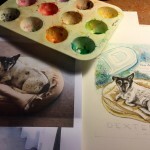 It began with a sketch using his initial and favourite pose on his blanket and cushion. To that I added a few words and a lot of love…. He is greatly missed and our Wednesday group not quite the same. 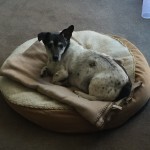 But he is remembered fondly and we will always acknowledge his role in all that is good and well in the world.